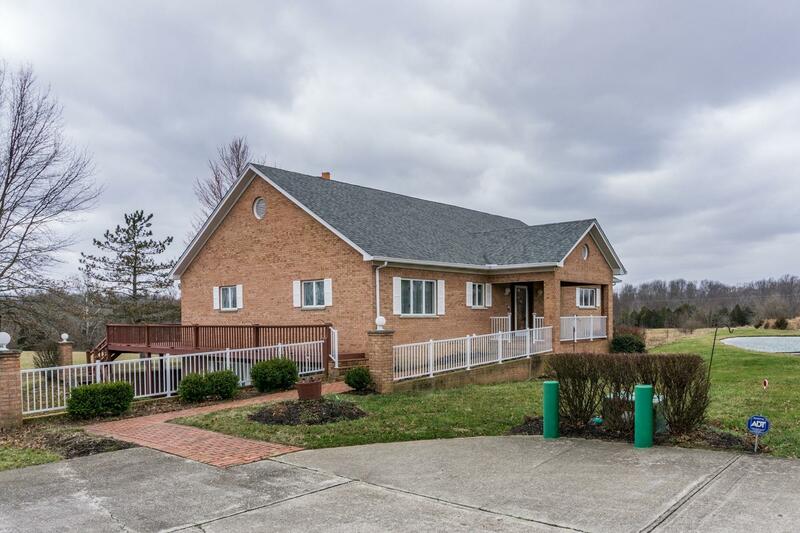 Custom 5 bdrm,2.5 bath brick home on 16 acres. Large kitchen,walk-in pantry.Open to DR/LR,Marble and parquet flooring,wood furnace,vaulted ceilings with tons of natural light.1st flr mastr,walk-in closet,double vanity,shower/tub.Huge full finished bsmt w/4 bdrms,LR,WBFP,walkout,plumbed for 2nd bth.2 fully stocked ponds.32x50 2C det garage. NOTE: This property was sold on 7/31/2017 and is no longer available. The details listed below are believed accurate to the date of the sale and are subject to change.